Tara has been hairdressing for 10 years. She not only excels at creating classic and contemporary cuts for her female clients, she revels in clean precision cutting. A hair and makeup artist whose handiwork has appeared regularly on the pages of The Advertiser and Parade Magazine. 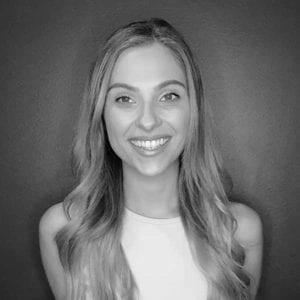 Tara has also worked backstage at Mercedes Benz Australian Fashion Week and Channel Nine’s ‘The Voice Kids’. With a flair for creating special event styles including hair braids and vintage style, Tara loves working with clients to create creative and inspired looks.